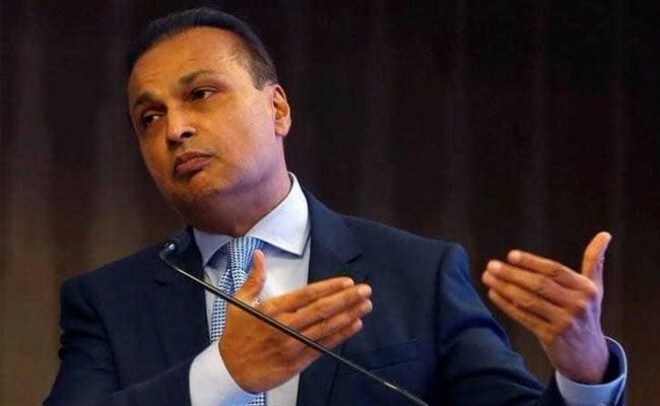 New Delhi, Feb 20: In a big setback for Anil Ambani, the Supreme Court today held Reliance Group chairman and its two directors guilty of contempt for willfully not paying Rs 550 crore to Ericsson. Swedish telecom equipment maker Ericsson had filed three contempt plea in the Supreme Court for not clearing its dues. A bench of Justices RF Nariman and Vineet Saran, however, asked RCom and Ambani to purge the contempt by paying Rs 453 crore to Ericsson in four weeks in addition to a Rs 118 crore amount lying with the court. Failing this he will have to serve three months of jail term. Additionally, the apex court has imposed a fine of Rs 1 crore on the three RCom entities. This will also have to be deposited within four weeks or the directors will spend a month each in jail. The court rejected Rcom and Ambani's unconditional apologies saying they had shown a cavalier attitude to the administration of justice. Ambani and the other directors were present in the courtroom when the order was pronounced. RCom was hauled up for contempt for not making the payment of Rs 550 crore to Ericsson despite the court orders and subsequent undertakings by the company and its directors.